Designed in the current ‘shabby chic’ style. 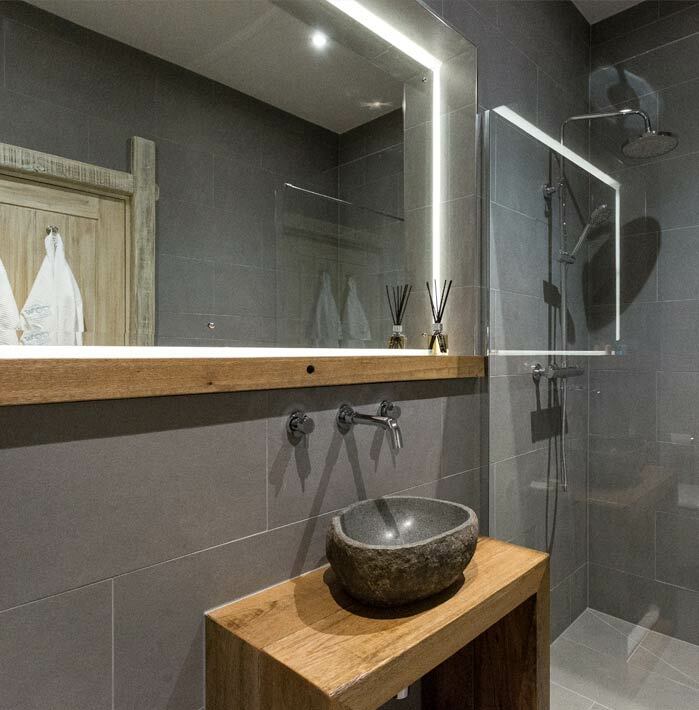 The en-suite facilities include a walk-in wet room shower, heated towel rail and underfloor heating. 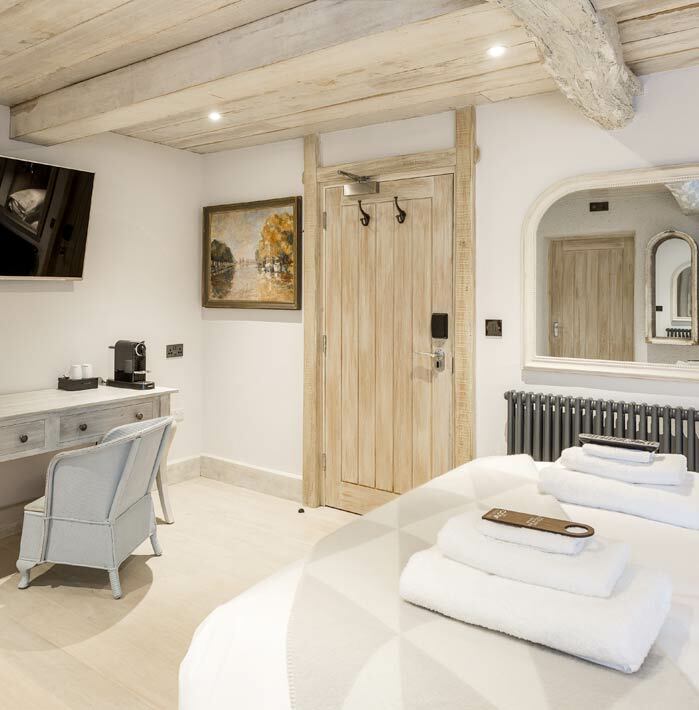 Situated on the ground floor, this is the second of our ‘New England’ influenced rooms. With pale timber cladding overhead, a neutral palette exudes a feeling of serenity. 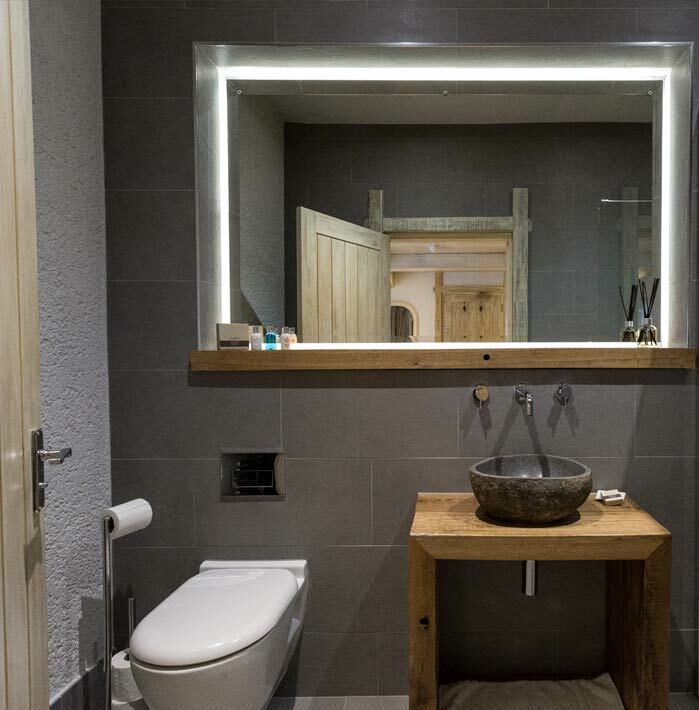 Light pours into the room via the French door that leads to a private patio area, whilst the en-suite facilities include walk-in shower and underfloor heating.